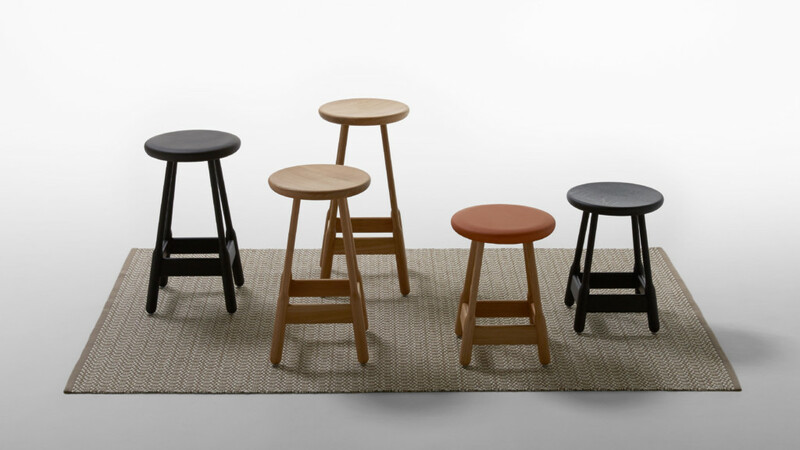 FINISHES: Black Stained Oak, White Oiled Oak, Red Lacquered Beech, Walnut Stained Beech, Natural Oak. 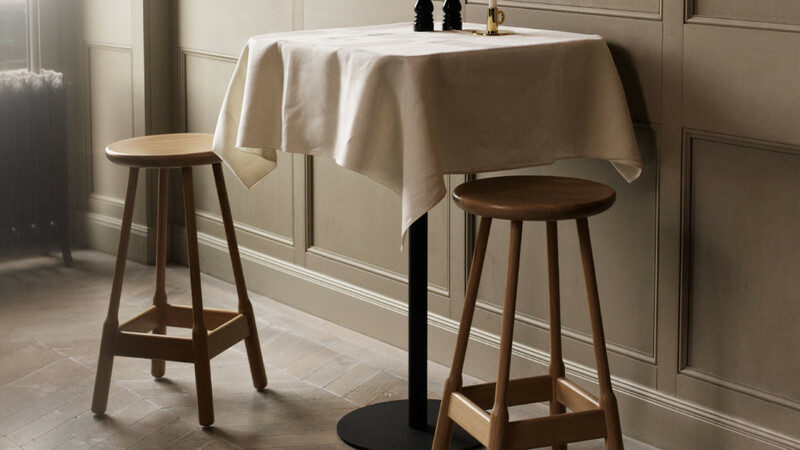 available with upholstered seat -please refer to the spec sheet for available house fabrics. 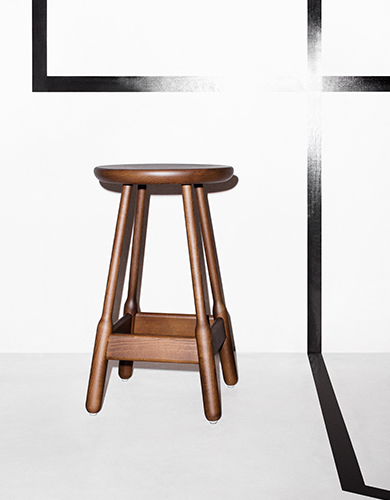 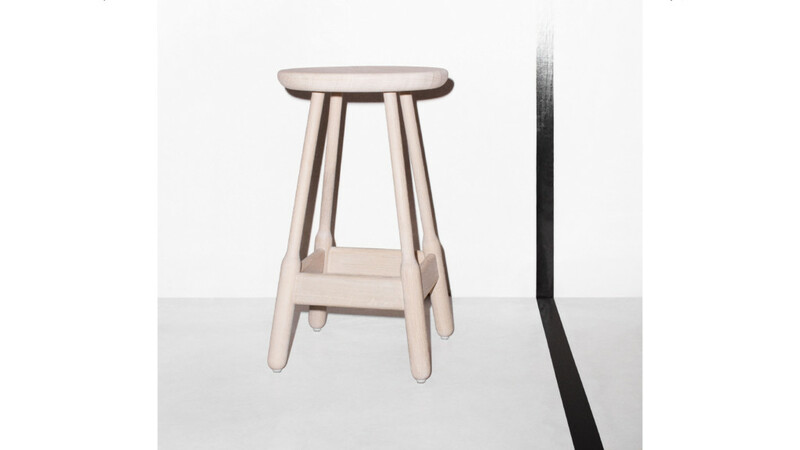 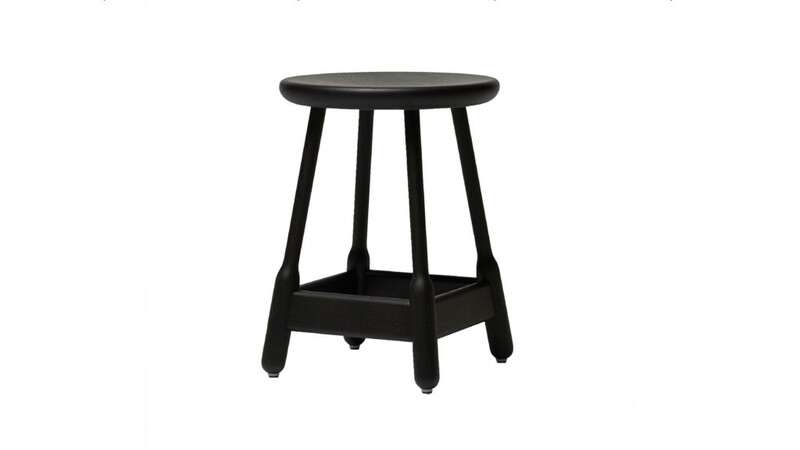 refined version of the iconic English pub stool which inspired it.